The nearly 270-km highway, the only all-weather road linking Kashmir with rest of the country, has been closed for civilian traffic twice a week -- Wednesday and Sunday -- from 4 am to 5 pm till May 31 to facilitate smooth movement of security convoys. An industrialists’ body here Saturday appealed to the Governor administration to ensure smooth flow of traffic on the strategic Jammu-Srinagar national highway, claiming that traffic mismanagement has caused huge losses to the sector. 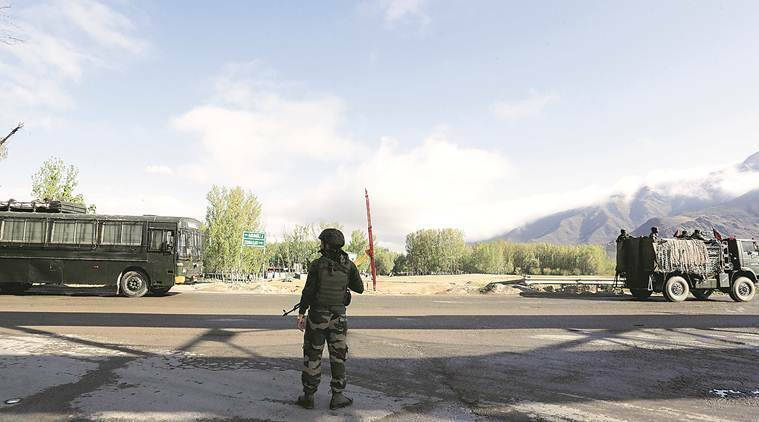 The nearly 270-km highway, the only all-weather road linking Kashmir with rest of the country, has been closed for civilian traffic twice a week — Wednesday and Sunday — from 4 am to 5 pm till May 31 to facilitate smooth movement of security convoys, drawing sharp criticism, especially from the mainstream parties and business community in the Valley. “The mismanagement of traffic movement on the highway is resulting in considerable delay in the receipt of raw material from Kashmir and dispatch of finished products from Jammu to Kashmir, Doda, Kishtwar and other parts of the state,” Bari Brahmana Industries Association (BBIA) president Lalit Mahajan said after a meeting here. “Industrial units are suffering badly due to transit delay of the goods resulting in huge financial losses. In case of perishable items and milk products, 100 per cent losses were reported in some consignments,” Mahajan claimed.